The Industrial Internet of Things (IIoT) has moved past a buzzword and become a strategic imperative for many industrial firms. Manufacturers of all types are leveraging IIoT for insights that enable new levels of production efficiency. In parallel, original equipment manufacturers (OEMs) are similarly leveraging IIoT to help their customers minimize unscheduled downtime, improve yield, and increase equipment reliability—while building a profitable services business for themselves. The semiconductor industry is the latest example of a super-secretive industry that’s opening up to new ways of working with equipment suppliers and leveraging technology to share equipment data in a way never possible before. A typical semiconductor manufacturer can lose $250,000 with every hour of lost production. For this reason, it’s common to stock lots of spare equipment onsite and co-locate OEM service engineers at the semiconductor fabrication plant (fab). At this rate, every minute of downtime prevented saves over $4,000. But, it’s not just downtime that’s valuable. Slightly degraded performance in non-critical, or “balance of plant”, equipment has been proven to impact product quality and yield. Leading examples in the industry demonstrate how IIoT can be used to help predict when equipment degradation is beginning, well in advance of downtime. Preventing downtime and improving yield helps the OEM delight their customers. Through this approach, OEMs are able to create new services business models by delivering Product-as-a-Service to their customers—building services revenues and brand loyalty through high service level agreements (SLAs). A prime example of leveraging IIoT to improve efficiency can be found at Intel. Intel saw an opportunity to improve how its fan filter units (FFUs) performed. These devices are common but critical devices in ensuring cleanrooms are free of dust and contaminants. GE Digital partnered with Intel to help them better understand the real-time health of each FFU and to predict failure. Together, we developed a solution leveraging Intel’s IoT Gateways and GE’s Predix Asset Performance Management (Predix APM) offering to perform analytics on-premise, at the edge, while collecting summary-level data for long-term trend analysis in the cloud. Sensors: Intel installed an accelerometer at the top of each FFU to measure variations in the fan’s function, creating a baseline for each fan that allowed them to compare behavior across the tool and fleet. 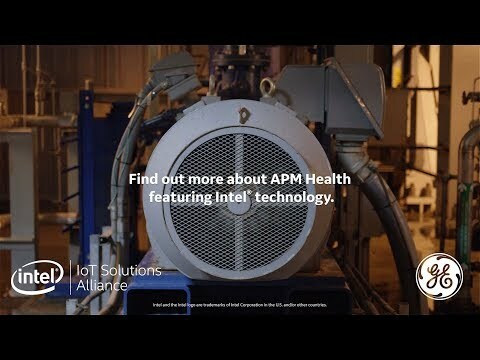 Edge integration: Intel integrated the accelerometers with IoT Gateways and Predix Platform, then developed an edge architecture that was compatible with running machine learning algorithms through APM Health. This created a baseline performance for each FFU, measured changes, and generated alerts for anomalies. Alerts were then sent to the cloud, followed by technician notifications. Cloud-based visualization: Intel transmitted summary data to APM Health in the cloud to give users a view into baseline performance and long-term trends with traditional, easy-to-use reports. 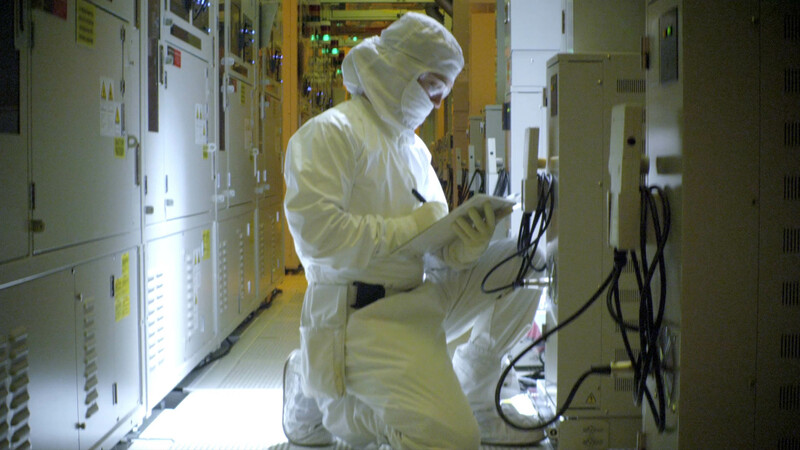 Improve factory floor operations: Intel was able to increase FFU uptime by 97% by ordering replacement parts upon potential failure detection and proactively replacing them before failure occurs – rather than trying to preventatively replace functioning units early, whether they needed it or not and sometimes not soon enough. Decreased excursions: By being able to order FFU replacements in advance, Intel has been able to prevent excursions and impact to production. Improved visibility: Intel’s technicians and tool owners can use summary data to more quickly identify changes in FFU health. Reduced unplanned downtime: Intel has reduced unscheduled downtime by 2/3 over manual inspection. And it’s just the start. This scalable, interoperable framework has created a foundation that Intel can use in a variety of other IIoT use cases in the factory. In fact, Intel plans to scale this solution to find anomalies in electro-mechanical devices and other manufacturing processes. 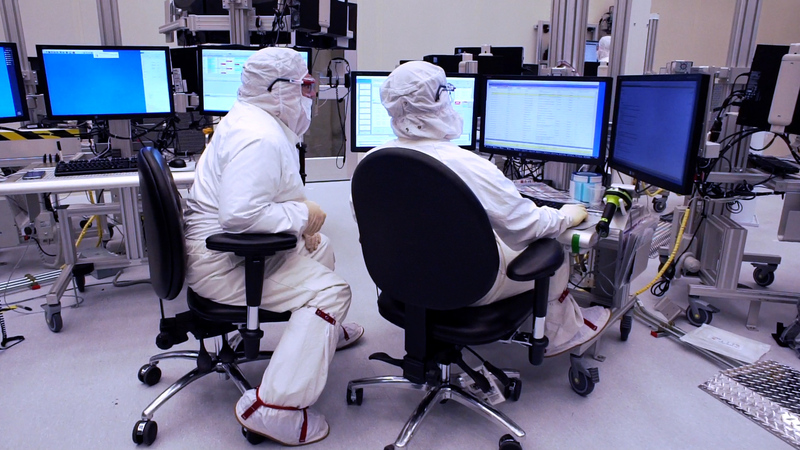 Additionally, Intel is now partnering with us to work directly with their OEMs and equipment suppliers to enhance the value of this solution across Intel’s supply chain. These types of results are just the first step for OEMs. By partnering with owner operators, like Intel, OEMs can unlock a complete service innovation program that moves them closer to truly delivering Product-as-a-Service. Once this is accomplished, OEMs can then sell, for example, uptime versus selling capital equipment—allowing OEMs to increase customer satisfaction while managing costs through innovation. 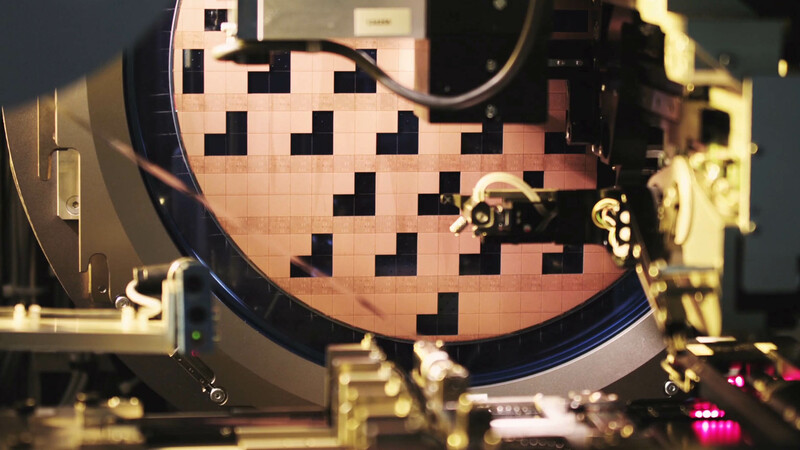 Watch the video below to learn more about how GE Digital and Intel are disrupting the semiconductor and OEM industries. Watch the highlights then click below to see the full webcast. How can we help you with your digital transformation?